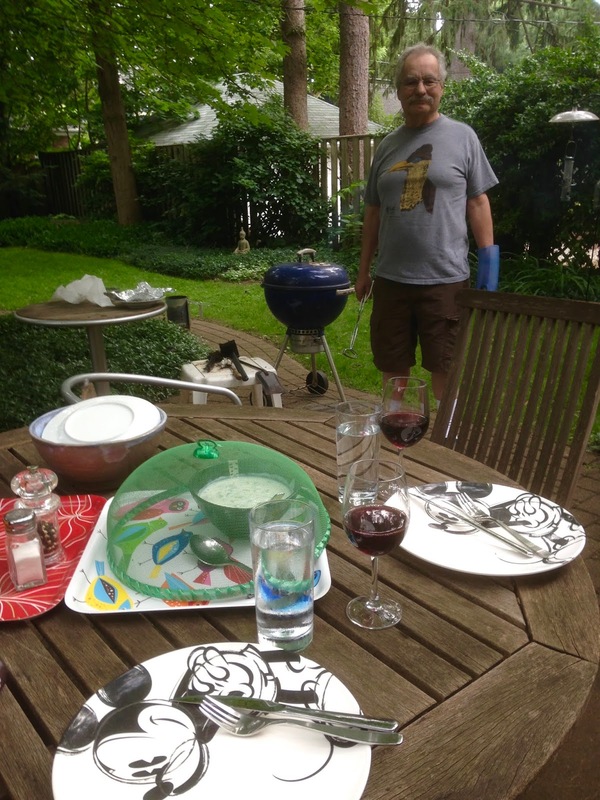 a simple outdoor dinner on the longest day of the year. 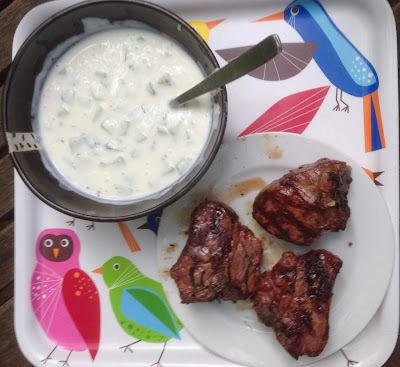 The cucumber-mint-yogurt sauce was inspired by Back Road Journal. After dinner we watched the Japanese film "Norwegian Wood," which we borrowed from the library. It was in the Japanese film section when we were borrowing a few Miyazaki films. I'm a fan of Murakami, but I haven't read this book, which dates to 1987. We weren't really that impressed: the film appears to be based on only one part of the novel's plot, which I looked up after watching. Because Murakami's later novels, like A Wild Sheep Chase, Dance, Dance, Dance, and 1Q84, are in the genre of magical realism, I expected this one to be the same, but it wasn't at all. From a few hints in what I read about the novel, there may have been some magical realism that was taken out of the script for the film. Maybe I'll have to read the book, though I rarely read a book after seeing the movie (or see a movie based on a book I've already read -- not counting Harry Potter). As for food -- the main character ate a number of meals at home and in restaurants in the course of the film, but you never had any clear view of what he and his companion(s) were eating. Sometimes they used forks, sometimes chop sticks. Once one of the women asked him if he liked her cooking. A number of different apartment interior scenes included very interesting retro kitchens. These contributed to the sixties atmosphere of the film, which was made in 2010. You could see small refrigerators, counters, a rice cooker, and in some cases piles of miscellaneous unidentifiable boxes. The film was so long that it was dark by the time we finished watching it! Glad you marked the evening which honestly went un-celebrated here. :( We did cook out with some brats and sausages though. Lovely meal, Mae. 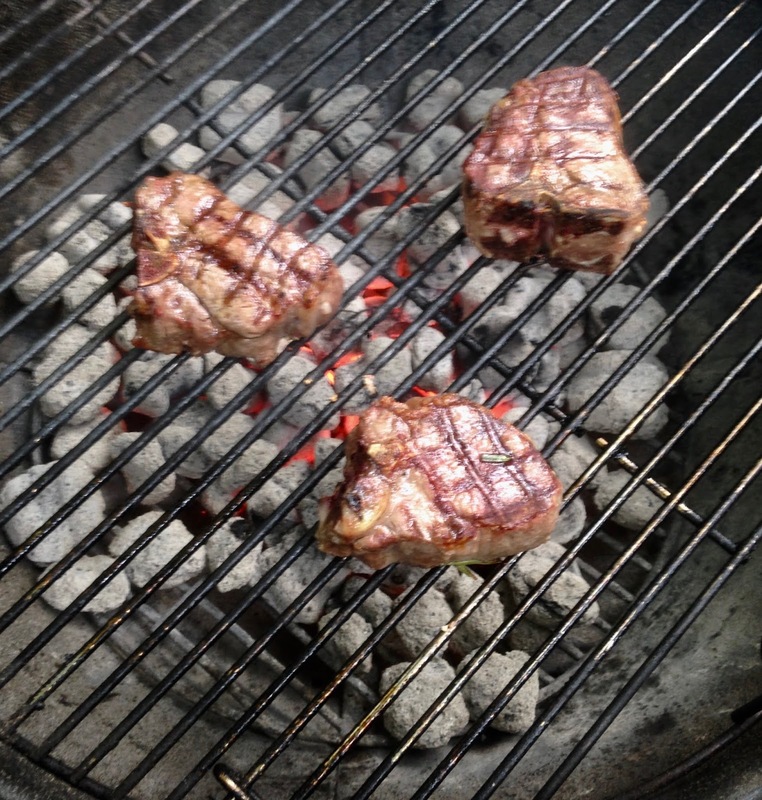 We love lamb! I haven't watched too many Japanese movies. The idea of warm weather and barbecuing sounds so appealing right now as we have the heater going and it is cooolldd! I love the fun anti-mosquito cover! What a wonderful dinner! 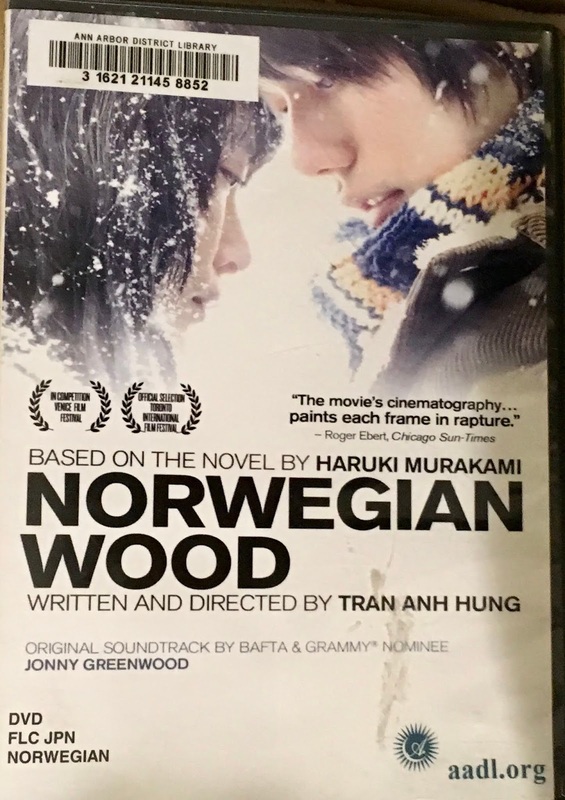 I'm sure the NOrwegian Wood characters didn't eat nearly so well as you and Len! I haven't heard of Murakami and I am guessing I ought to start with an earlier publication, based on what you said. Sometimes I read the book afterwards and usually, in my opinion, the book has more detail and I like it more. Thanks for your comments and good wishes for our anniversary. We loved that Mustang rental so much that Doug sold his Harley motorcycle and we bought a convertible of our own!